* Hints on what will happen on '17th of this month' The leader of the Indigenous Peoples of Biafra, IPOB, Nnamdi Kanu, has revealed real reason soldiers raided his Afaraukwu Umuahia country home last year. Kanu who made the revelation in a post on Radio Biafra Facebook page said he was marked for elimination because he was the first to alert the world of the "impostor in Aso Rock ". The IPOB Leader who was addressing a crowd of his supporters in his father's compound had told them that Buhari was dead but replaced with a double. According to the video clip, he vowed to storm Abuja with 2 million IPOB members on the "17th of this month " (probably September 2017). His house was however raided on September 14, three days before the date and his court case in Abuja. Kanu said he was under oath to actualise Biafra restoration. The IPOB leader who is currently taking refuge in Israel was heard in the video saying "it is either Biafra or death". . His words: " I am under oath to defend Biafra. The man in Aso Rock is a product of extensive surgery. " I will take 2 million people to Abuja and Nigeria won't remain the same again. I am taking 2 million IPOB members to Abuja on the 17th of this month. I cannot be arrested! " Since his re-appearance in Israel about a month ago, Kanu has consistently maintained that "an impostor is now in charge of Aso Rock ", a claim the presidency has dismissed as "a bunkum and utter nonsense ". Kanu in his latest broadcast on Radio Biafra threatened to "scientifically unmask the impostor in Aso Rock " on December 17. He said that when he raised the alarm in 2017 that Nigeria was being ruled by an impostor many folks thought he was out of his senses. Kanu noted with delight that many people are now getting curious over the 'Buhari double' narrative, adding that many world leaders are also beginning to ask questions. He said he should be commended for exposing the cover-up about the impostor masquerading as the President of the country. 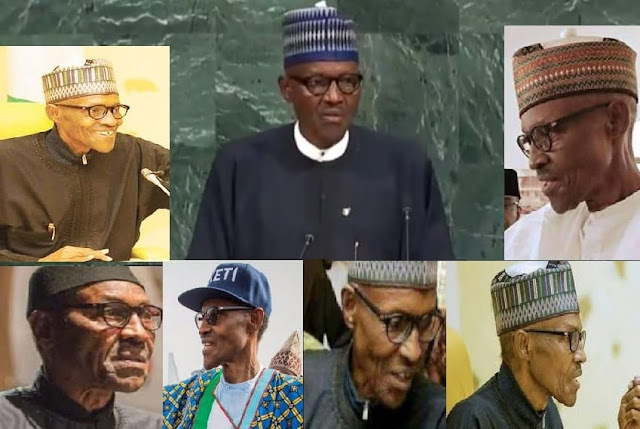 However, Kanu's claims that President Muhammadu Buhari was dead and replaced by an impostor ( Jubril from Sudan) is still a subject of controversy as Buhari had debunked that "he was cloned". Buhari had while interacting with Nigerians in far-away Poland on December 2, dismissed the rumour of his alleged double as false and malicious. But Kanu disagreed with Buhari's explanations, insisting the real Buhari was dead and replaced with an impostor by the cabal holding Nigeria to ransom. His words:" In 2017 Kanu awoke Biafrans over the impostor, Jubril occupying Aso Rock people thought it was a joke. " Today the... is crumbling. The entire world is reasoning over the impostor. Countries are now asking questions. " IPOB is the true pacesetters of Biafra struggle, resetting the brain of the Blackman. People are rediscovering themselves and are seriously heading towards freedom. "IPOB has proved that nothing is fundamentally wrong with the mind of the black man from the beginning of things. I'm not surprised to know why people are envious of IPOB and Nnamdi Kanu ".